Sometimes an advice wont work. Sometimes it takes many many advices to work. But for me, they didnt seem to get to me. I never really cared. I was ignorant. It makes no sense to me. It was only through experiences that i finally learn from myself. And thats what i thought is the best lesson you could ever get. And when you experience them, you know. You realise what its like, you know how it feels, you know what it did to you. You finally REALISED. And i’m glad that my own experiences thought me a lesson instead of hearing through advices that you probably dont know the reason to why you shouldnt do this or that. My explanation is vague now. But i’ll get to my point soon. Before i go any further, i’m writing about this not to show that i’m knowledgeable or whatever. Im not either. I’ve got a lot to learn. I’m writing this up because i wanted to share my own experience. To share what i’ve learn. To insyaAllah open up anyones mind about this. I have no right to tell anyone what to do, but i could at least share my thoughts and share what is right, and not let anyone fall into shaytan’s trap. Allah has teaches us in the Quran but we, didn’t follow, or we didn’t know, or we are just I.G.N.O.R.A.N.T. So. Most of the time, people try to make a relationship ‘halal’. And i mean this generally. Those i’ve heard of and known. I was guilty of this myself too. And then i came to realise that it felt wrong. Not like i didn’t already knew it was wrong in the first place, but it just didnt felt right. The relationship just didn’t feel blessed in a way. But i choose to ignore and brush it off. There’s heartbreaks and jealousy, not having enough time to spend with each other, there’s disappointments. But most of the time, it’s all good. No problems whatsoever at all. But it’s all these feelings and emotions you feel over someone you dont even know is going to be your future spouse. Because at the end of the day, only Allah knows and Allah has written who your future spouses are from the day you started to form in your mother’s womb. You may be in a pre-marital relationship for a few months, or 2 years or 7 years or longer, but you could end up marrying someone else. You do not determine your fate. Allah does. So i dont want to go into details about this, but basically what i’m saying is, there were many instances that made me stop and realise what the hell am i doing and thinking. So, when you are in a relationship or so called ‘halal’ relationship, you would think that he/she is the one, or he/she makes you ‘closer to Allah’ or you feel whole suddenly. You’ve never been happier. He/she has made you become a happier, a better person. And many other ridiculous reasons that shaytan has deceived you into thinking. And then you go to islamic lectures or conventions or you stumble upon videos and they talk about why there shouldn’t be any kind of relationships between non-mahrams (those whom you can marry) except for marriage of course, and then you feel guilty for what you’ve been doing but you convince yourself by saying “at least we didn’t hold hands” or “at least we didn’t do zina (pre-marital sexual relations)” or “at least we didn’t do this or that”. Or now that you’ve heard the lectures, you tell yourself you’re going to make this relationship ‘halal’ now. You’re going to make this relationship right. Yes it was exactly what i used to think too. I was guilty of it. But honestly, how can you make something, that is clearly wrong, right? There are just excuses for it. 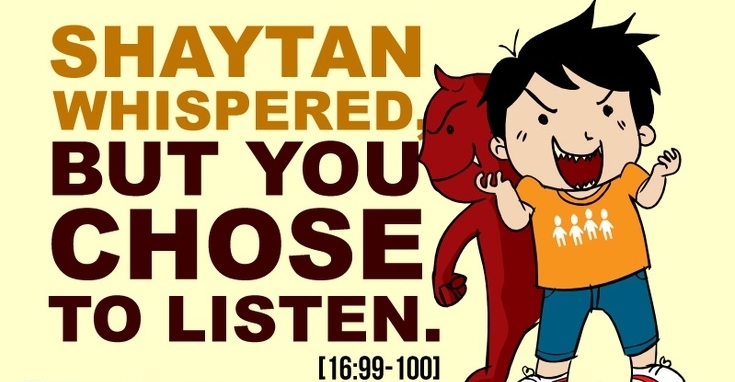 Shaytan will always, ALWAYS come in the way. Convincing you that its fine, or you’ll make it right, just so you’ll feel better for your own mistake. 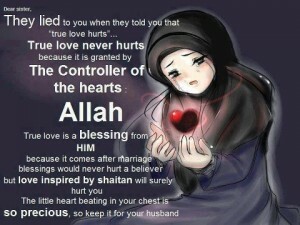 Trust me, committing in a haraam relationship, has never been more destructive to my iman(faith) than any other sins. Sometimes, even without you knowing or realizing. Let’s get real here. We all have our nafs(desires) And you wouldn’t want your desires and temptations to take control over you. Also, you’d spend most of your time with him/her. Maybe not meeting up. But through whatsapp or text messages or even phone calls. You become oblivious of what’s in front of you. Your parents, your friends, your siblings. Maybe not all the time, maybe i have exaggerated a little too much, but there are instances where you forgot what really is around you. Your mind is filled with him/her. Day and night. Oh and you probably start to dream about them. You thought its a sign. ALLAH HAS GIVEN ME A SIGN! No no no. Its not a sign. You’ve been thinking about them all day long. Your mind is filled with them. THAT’S why you dream about them. Not because it’s a sign that he/she is The One. Think. Is it their ‘oh so sweet’ words or the fact that they promise and wants to marry you that draws you into them? Look. Your ‘other half’ shouldn’t determine your happiness. They shouldn’t make you feel whole. They do not own you. Allah does. And if they sincerely loves you, they’d meet your family, your wali and ask for their approval in marriage. No excuses. Of course there’s excuses that it’s not practical anymore in this society. Like financial issues and education issues and what not. I used to say that too. I didn’t understand. But really? If you live in a society where alcohol has replace water for some reason (ok maybe this isnt the best example to give but hopefully you get my point) would you still drink alcohol then? Or having the five daily prayers is not practical in this society because we are all ‘too busy’ with work and school and homework and tuition and extra courses and blablabla so it’s ok to not pray five times a day? And therefore it’s totallyfine to be in a haraam relationship first before marriage because you’ve got your education and financial issues to settle? Is it fair to say that? Allah knows what’s best for us. He is the All-Knowing. I used to question myself. Do i really love Allah? If i do, then why do i do things that displease Him? Why do i ignore His words? So much so that i gave up and ignore everything because it was too much to take in. I was stuck between loving what’s in the dunya and loving my own creator. 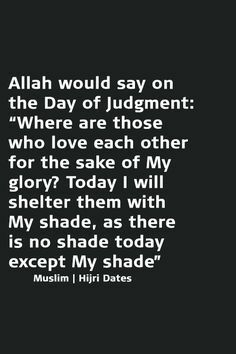 Until one day, it dawn on me that whatever ‘love’ I feel in this dunya is temporary. I might die tomorrow, or even right now. Allah can choose to do that, but He didn’t. He gives us another chance, another day to repent, to turn back to Him. His love for us is greater than our parents. His Mercy for us is greater than anyone else. 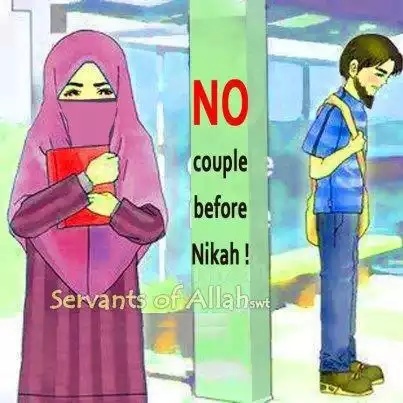 Keep ourselves for our future spouses. I love my future husband so much and i would never, NEVER land myself in any haraam relationship ever again. Because he/she will insyaAllah be with us for the rest of our lives. For he/she will help guide each other to paradise. They deserve to be the only one in our eyes and no one else. Our love for them for the sake of Allah. They deserve us more than your ‘boyfriend’ or ‘girlfriend’ or ‘soon-to-be spouse’ or ‘fiance’ or whatever. Period. So, WHY is love for the sake of Allah so beautiful then? It’ beautiful because you are being conscious of the unseen world. It’s beautiful because you know that your relationship in this dunya means NOTHING if you aren’t planning to go to paradise together. It’s beautiful because you are helping one another make the biggest investments for their hereafter. It’s beautiful, because you are actually planning your whole life for the moment whereby you walk hand in hand to the gates of Jannah (paradise) together, and you know that despite the fact that you’re going to be happy in Jannah, you only want to be there with them. That’s true love. Beautiful love. So dear brothers and sisters whom i love for the sake of Allah, im not writing this up to put down anyone. Everyone makes mistakes including me. We are not perfect, but we can choose to improve ourselves each day. Do not hate anyone for their sins. Hate their sins but not them. Find ways to advice each other. Reflect on our actions and do what pleases Allah and follow what Rasulullah (peace be upon him) has taught us and never ignore what Allah has clearlystated in the Quran. It is never too late to repent. 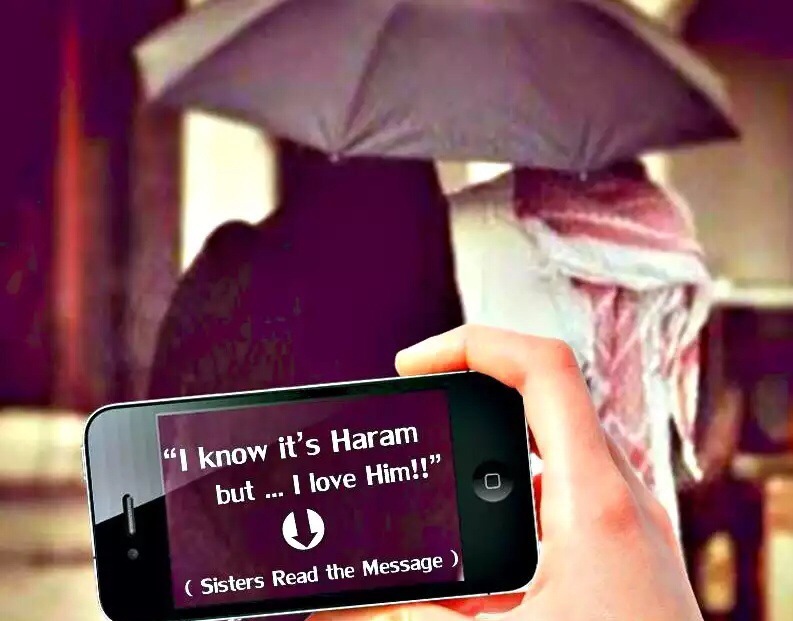 Leave any haraam relationship you might have. Wallahi. The blessings and rewards from the sacrifice you’ve made to leave the things that you ‘love’ in this dunya for the sake of Allah is way wayyyyyy better than anything you could ever think of. May Allah protect me and all of us from being amongst the people of ignorance and may He forgive us all for our past sins and accept our sincere taubah(repentance). Ameen!